Every child should have access to a high-quality education, ensuring every Louisiana resident has a chance to succeed. Louisiana cannot have a bright economic future without a workforce equipped with the skills and training necessary to compete in a 21st century economy. Revamping Louisiana’s educational system stands as an economic imperative—and a moral one too. Despite many dramatic gains in Louisiana’s public education system over the past decade, many children still fail to achieve important measures of progress. In eighth grade reading, Louisiana’s most recent test scores lagged behind 41 other states; in eighth grade math, the state’s performance ranked below 48 states. Louisiana’s poor overall performance on nationwide tests masks even greater achievement disparities for poor students and students of color. The achievement gap between children who qualified for free or reduced-price school lunches and more affluent students has remained constant in both eighth grade reading and math for nearly two decades. Government bureaucrats and/or union officials often prevent parents from selecting the best educational options available for their children. Empower parents by expanding school choice programs. Expand school choice scholarships to all Louisiana students and introduce new options like Educational Savings Accounts (ESAs). Promote Course Choice initiatives to allow all students to attend classes that children in rural or smaller school districts might not have access to. 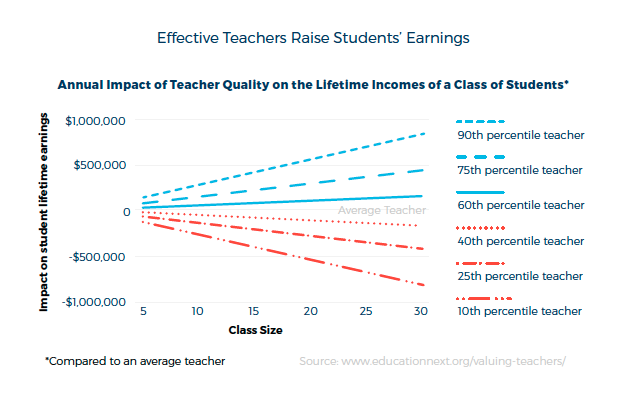 Empower quality, high-performing teachers through reforms like merit pay and changes to teacher tenure, which reward the teachers that have the greatest impact on Louisiana students. Transform schools to give teachers more freedom from government restrictions that impede innovation. Encourage new educational options, such as high-quality career and technical educational programs. Explore a move to competency-based education to make sure students receive the skills they need during their schooling. For more information on the Pelican Institute’s solutions to Louisiana’s education system issues, view the full paper by clicking here.